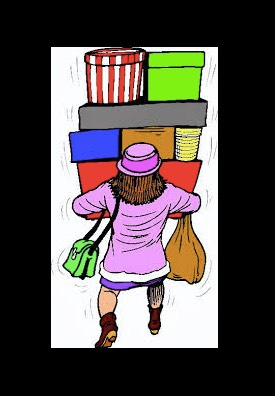 We are CLOSED on Black Friday but we have DEALS on Saturday, November 25th with LIVE MUSIC from the one man band - Bill West! 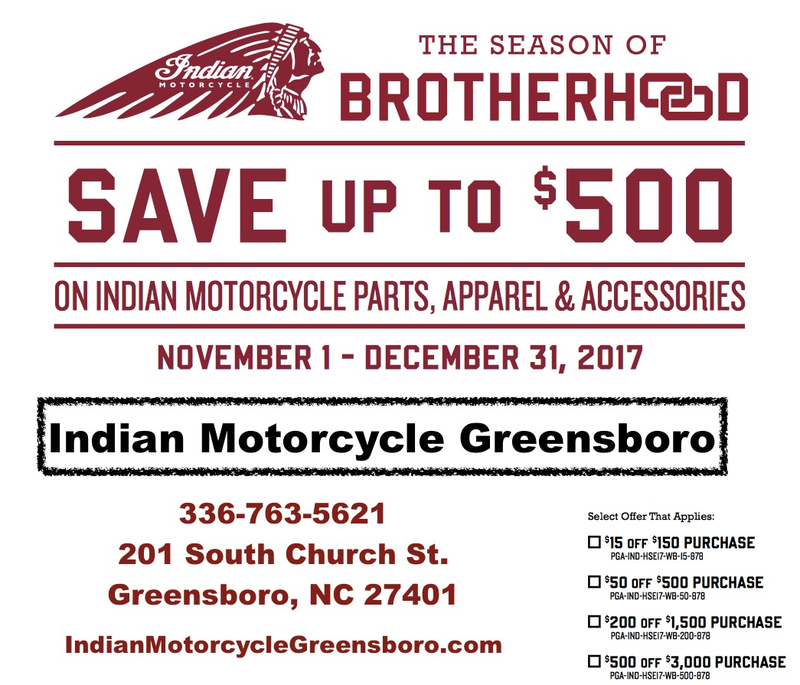 Take 10% off any in stock full priced Indian or Slingshot: Parts, Oil & Accessories. Including in stock performance accessories such as: Freedom Exhausts, Indian Stage 1 pipes & Breather, Indian Stage 2 Cams, Lloyd's Cams & Dobek fuel management systems. (Payment must be made this Saturday for the accessories. No special orders). Did you buy your bike from us? If you answered YES then this Saturday you get 20% off any in stock full priced Indian or Slingshot: Parts, Oil & Accessories. Including in stock performance accessories such as: Freedom Exhausts, Indian Stage 1 pipes & Breather, Indian Stage 2 Cams, Lloyd's Cams & Dobek fuel management systems. (Payment must be made this Saturday for the accessories. No special orders). Take 20% off any in stock full priced Indian or Slingshot Apparel (no special orders). Did you buy your bike from us? If you answered YES then this Saturday you get 30% off any in stock full priced Indian or Slingshot Apparel! (no special orders). Deal #3 - Stocking Stuffer Alert. Buy three full priced in stock T-Shirts and get a 4th one of equal or lesser value FREE. YES you can combine this with Deal #2 ! Deal #4 - Sale Rack Alert. Take an EXTRA 20% off any Indian or Slingshot Apparel that is on one of our Special Apparel Sale Racks (normally around 25% to 40% off already). Can not be combined with any other offers. 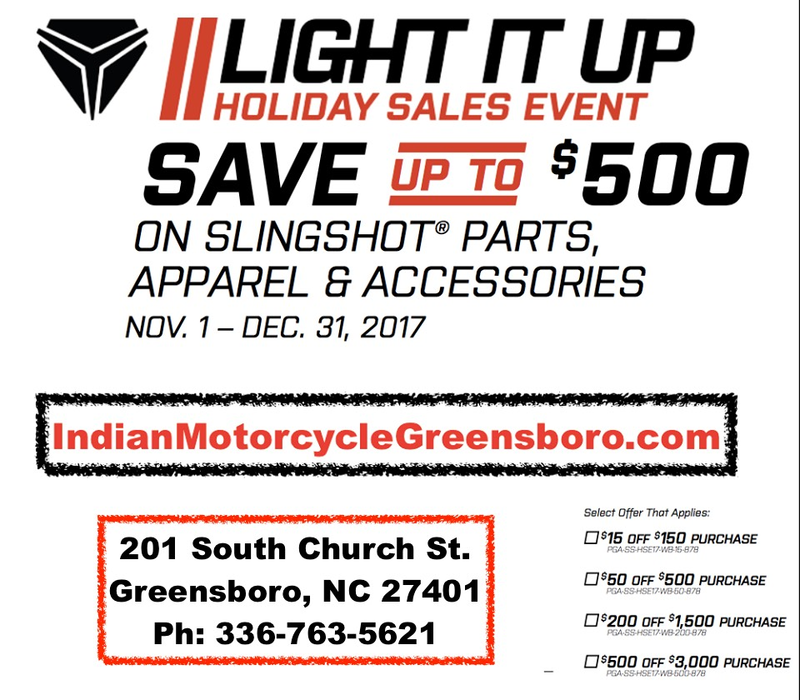 Deal #6 - Slingshot Light it Up Holiday Sales Event. All in stock Victory Apparel & Helmets are 75% off original MSRP. Can not be combined with any other offers. No special orders. All in stock Victory Accessories are 50% off original MSRP - including Victory CAMS. Can not be combined with any other offers. No special orders.